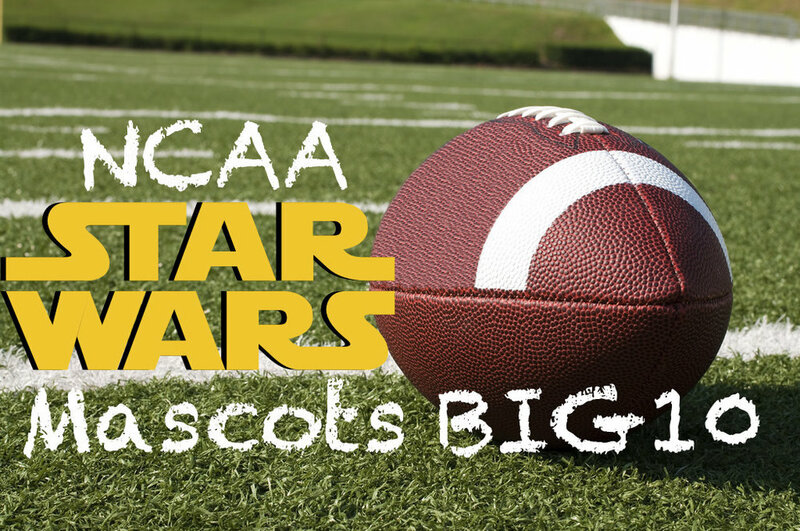 Carl caps off his series on what the NCAA Power 5 mascots would be in the Star Wars Universe. Maryland Rancors – The rancor is a large reptile which may not have a shell in which its whole body can fit, but it does have shell armor over much of its body. Michigan Hutts – I couldn’t think of anything small and ferocious like a wolverine in the Star Wars universe. Alternatively, wolverines are known for having voracious appetites. What’s more gluttonous than a Hutt? Ohio State IG Assassin Droids – A buckeye is a nut resembling the eye of a deer. Focusing on eyes, the two things that stand out are probe droids and IG assassin droids. IG Assassin droids are tougher and cooler which makes them a better mascot. Penn State Sith – The nittany lion was adopted as the sports mascot because it was the most ferocious beast. Nothing is more ferocious than a Sith. Illinois Fighting Battle Droids – Although the Illini symbols refer to Native Americans, “fighting” seems to have been added to “Illini” more frequently after alumni participated in World War I. The naming of Memorial Stadium, which was built in 1923, was also to honor those men and women who served in the war. The original army in episodes I – III is the droid army. Iowa Kenobis – The Hawkeyes got their nickname from the character in The Last of the Mohicans. That character received his moniker because of his ability with a long rifle, so Stormtrooper would not be a Star Wars equivalent. The character has a different given name (Natty Bumppo), much like Obi Wan/Ben. He is also friends with last members of a group of people, the Mohicans. Kind of reminds me of the Jedi. Minnesota Golden Protocol Droids – You might not recognize the mascot because of his maroon arm. Wisconsin Sarlaccs – The Badgers nickname was originally given to Wisconsin settlers because of lead miners in the area who built temporary shelters by tunneling into the ground. The best burrowing creature in Star Wars is the Sarlacc. We hope Carl's series helped you get ready for the College Football season! Enjoy the great match ups this weekend!